Power outages are inconvenient and become increasingly problematic the longer they last. Staying prepared will keep you safe and comfortable in case of an emergency. •Keeping coolers and extra ice in your home will help preserve food. •Store nonperishable food and bottled water in case of a prolonged outage. •Make sure you have easily accessible flashlights with working batteries. And keep spare batteries just in case. •A battery-powered radio will keep you updated on weather announcements or warnings. •Check the batteries on your smoke and carbon monoxide detectors regularly to make sure they are functioning properly. •Keep a seven-day supply of any required medications and have a first aid kit readily available. •Keep your car’s gas tank at least half full at all times. •Keeping your fridge and freezer doors closed can prolong perishable goods’ shelf lives up to four hours for your fridge and 48 hours for your freezer. •Keep food covered in a dry, cool spot at all times to prevent bacterial growth. •If the outage extends beyond a day, prepare a cooler with ice for your perishable goods. •Turn off and unplug all electrical equipment and appliances except for one light so you know when the power is back on. •Dress in layers to maintain your body temperature if the indoor temp begins to drop. •Use caution when using any alternate source of heat or electricity. And never use a generator or any gasoline, propane, natural gas or charcoal-burning devices inside any partially or fully enclosed area to avoid carbon monoxide poisoning. •Evacuate your home and go outside immediately if your carbon monoxide or smoke alarm goes off. •Avoid driving if possible, as traffic lights might be out and roads may be jammed. •Avoid all electrical power lines as live wires can be fatal to touch. Report any downed lines to the appropriate authorities. •Throw away food from your fridge if it has a temperature of more than 40 Fahrenheit or has a funny odor or color to it. Don’t let a power outage put you out. 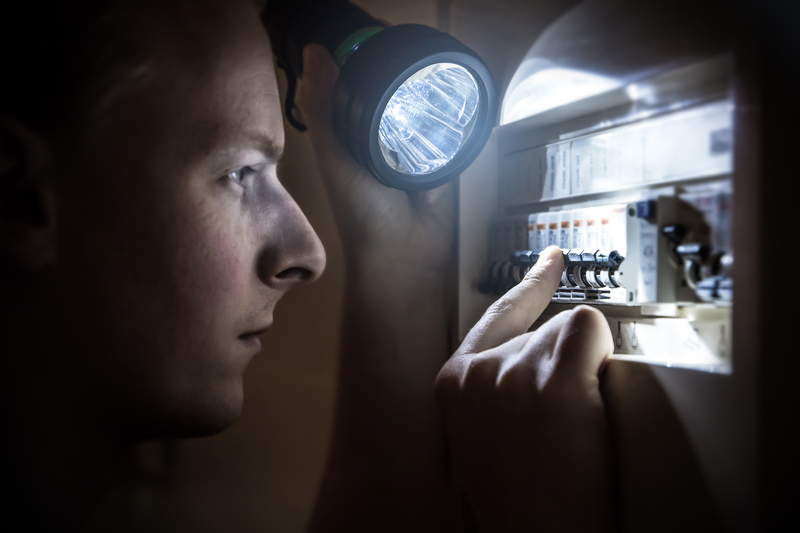 Follow these simple steps to keep you safe and secure when the lights go out. It’s all about protecting what’s important to you. To learn more about Liberty Mutual Auto and Home Insurance or to get a free, no-obligation quote, call David Gagné at 585.512.2576 or visit libertymutual.com/david-gagne.